We know where the beef is!!! It's right here with us!!! As part of the Chewy Influencer program, we are reviewing another product from Chewy.com. Wellness CORE 100% Beef Treats. These treats are grain-free, gluten-free, and filter-free. 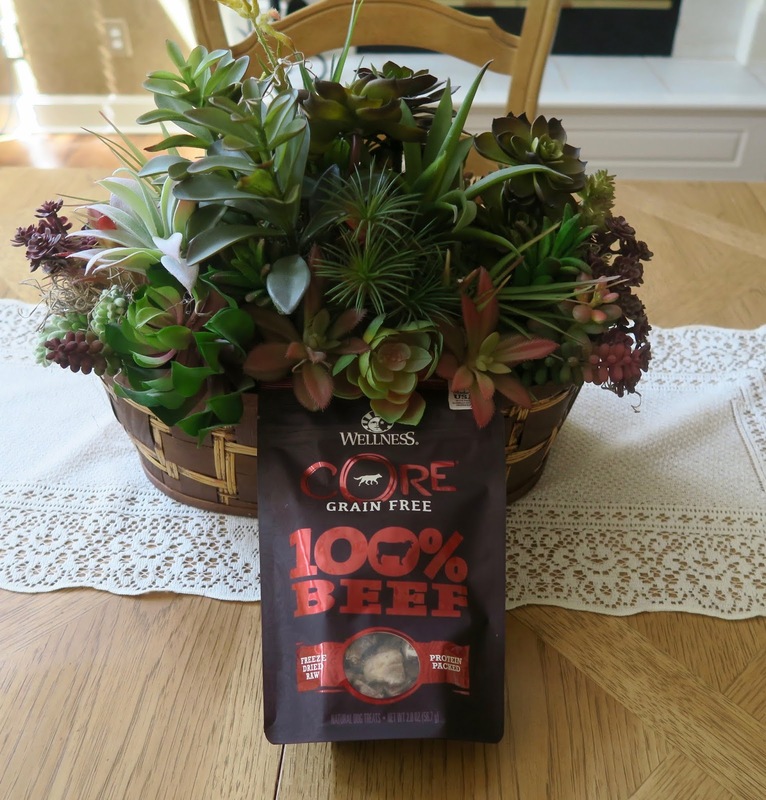 They are freeze-dried 100% beef. That's right, just ONE ingredient - BEEF!!! They only have 3 calories per treat and contain no wheat, wheat-gluten, soy, or artificial flavors or preservatives. These treats are also proudly made in the U.S.A.
C'mon, Mom - open the bag - we can see all the yumminess through that window. 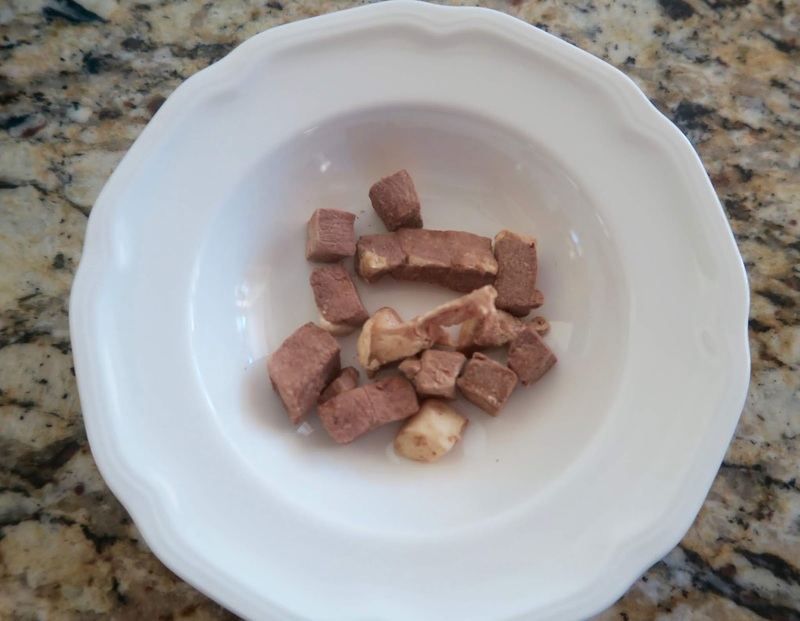 The Chewy.com description tells us that "freeze-dried treats are a safe and convenient way to introduce the benefits of a raw diet into your pup’s routine without upsetting his stomach." "Wellness CORE is based on the nutritional philosophy that dogs, given their primal ancestry, thrive on a diet mainly comprised of meat. These single ingredient treats are bite-size nuggets of pure protein. We cut raw beef and then remove the water through our low-temp freeze-drying process, which locks in all the flavor and nutrients." We are all set to give these BEEF treats a test. Let's go, Mom. Where's the beef? We ate them so fast Mom couldn't get a photo, but we have to tell you that we LOVE these treats and would definitely encourage you to give them a try. Healthy and tasty - what's not to love about that!!! Mom says they will make a great option for training treats. If you are not a big BEEF lover, the treats are also available in 100% turkey, salmon, and boar options. With Timber's potential turkey allergy, we opted for the beef treats, but we are hoping Mom will let us get some salmon and boar too. Thanks once again to Chewy.com for giving us the opportunity to review another great product. We received this bag of treats at no cost to us in exchange for a fair and honest review. Please visit Chewy.com to see all the wonderful products available to you with great prices, excellent delivery time, and superior and outstanding customer service. You all did a great review. 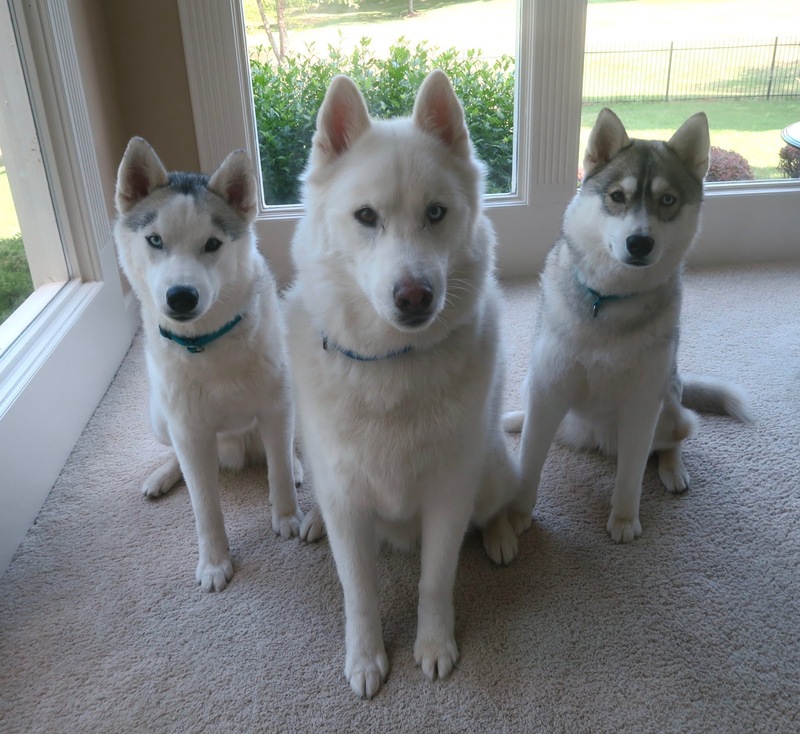 We love freeze dried treats too. Surprisingly this kit kat loves beef a lot. One of my favorite Fancy Feast meals is tender beef and liver. wow that looks tasty... any leftovers for two superhungry pups who are just back from a long walk? We're just the opposite. We can't eat beef but we eat a lot of turkey. Mostly we eat loads of fish. You all sit so nicely for your pictures. Those look super yummy! Yesterday I got a couple pieces of grilled steak and got to lick the steak juice from the plate. Now that's what I call living it up! Yummy! These treats need to go on my Chewy list for next time mom places an order! You do look very happy in that last shot! 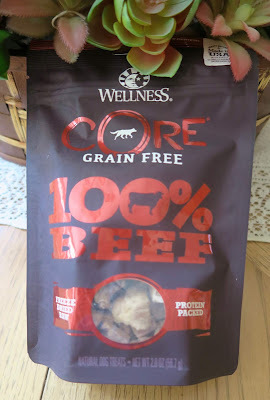 I have tried some Wellness Core wet food and really liked it, but I have never (yet) tried the treats. Thanks for the heads up! these are the nommiest treats me and my broth...I mean sisters(BOL!) have tried in a long time! Mama says it's funny, we got the turkey treats because of Arty's potential beef allergies...We have the salmon ones too, but stingy Mama hasn't opened them yet! What a great review and those treats so yummy and healthy too.They sound like such good treats. You all have a super day. How do you pose with those treat without sticking your nose in them to eat? You have great restraint. Great review, glad it was a hit. What a great review! 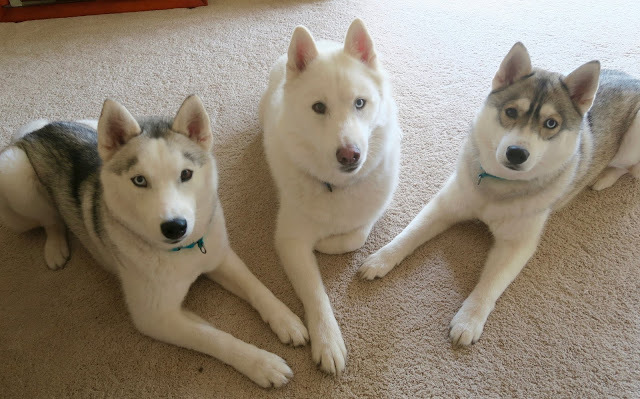 We are always amazed at how well all three of you sit nicely at the same time! 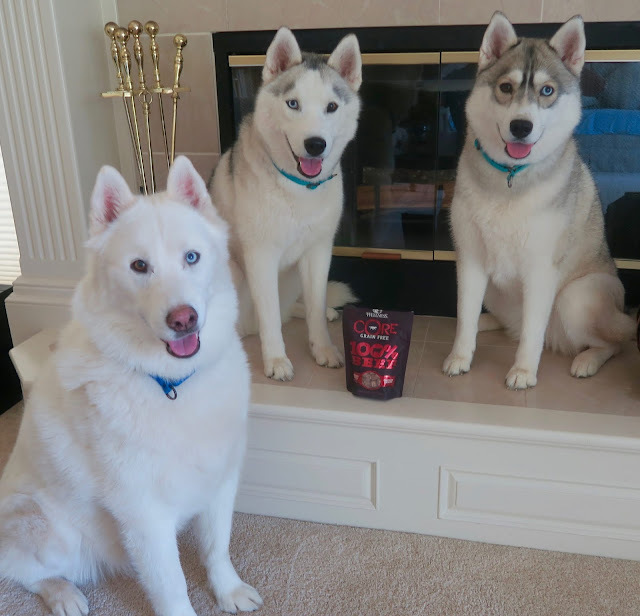 Must mean that those treats are extra yummy! Yay, Chewy!!!! Those are great treats! We love them here in our house too! Mmmmmmm, those treats look so good! You are so lucky to be treat testers! I have a English Shepherd Dog. His name is Andy and he loves this treat.